Bridges connect, enabling transport and communication. They also have a symbolic function. Their constructions can be quite different, ranging from the clapper bridges in Dartmoor to the industrial beauty of the bridge over the Firth of Forth. Of course forces are important - a topic you discussed in physics class. We’re going to think about and experiment with different materials and constructions, closing with a contest: who will design the best and most beautiful light-weight bridge? 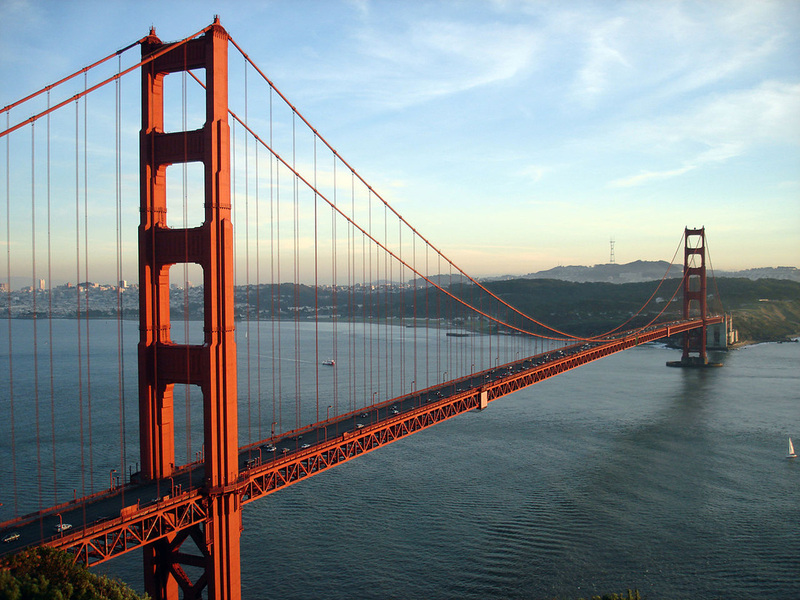 This is the Golden Gate Bridge in San Francisco. The other 9 most beautiful or well known bridges are found here. Download ﻿Bridge designer 2016﻿ and design bridges at home. These three apps are great tools for unstanding the characteristics of a proper bridge and they contain a lot of levels to keep you challenged. 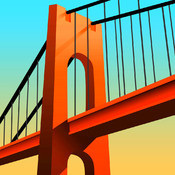 Bridge Architect is a free app, but both Link! 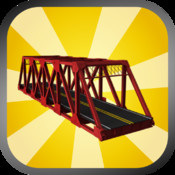 as Bridge Constructor have free versions available. 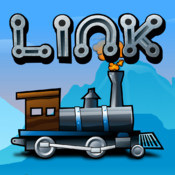 At least Bridge Architect is also available for Android. 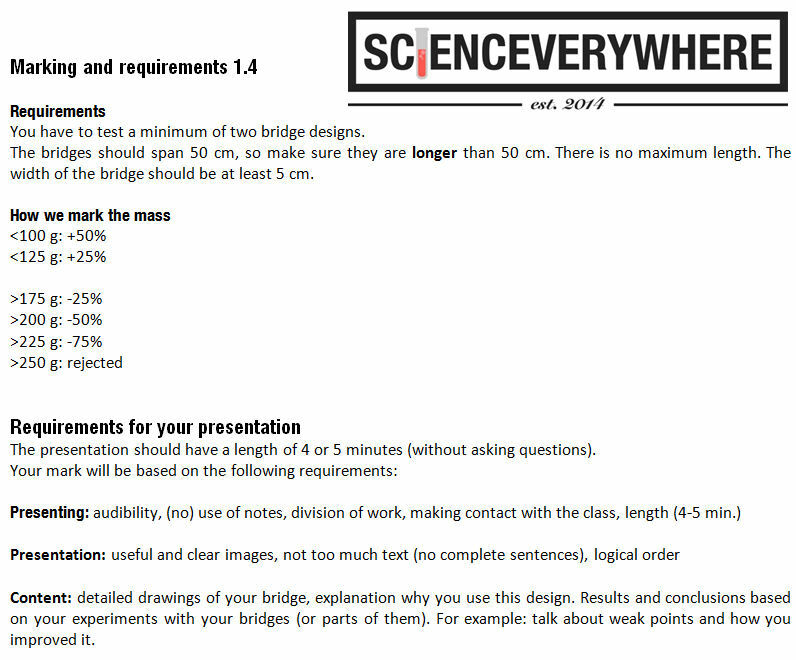 Play them and learn how you make a stable and strong bridge and use your findings to make a great bridge yourself to win the contest!